When it comes to the mild traumatic brain injuries, no treatment is required in most cases. Doctors typically prescribe rest and pain relievers that can be purchased over the counter. A person with such an injury is closely monitored at home or hospital for any worsening symptom. Some patients receive follow-up physician appointments to determine when is the right moment to get back to work and recreational activities. Most people gradually return to their daily routines. But when it comes to moderate to severe brain injuries, immediate emergency care is a must. That ensures that a person with a traumatic brain injury gets an adequate blood supply and oxygen timely. Aside from maintaining blood pressure, this prevents any further complication or injury to the head. In the emergency room, doctors take measures that may involve a variety of additional treatments, focusing on how to minimize secondary damages. Skull fractures – Surgery can repair serious fractures by removing skull pieces in the brain. 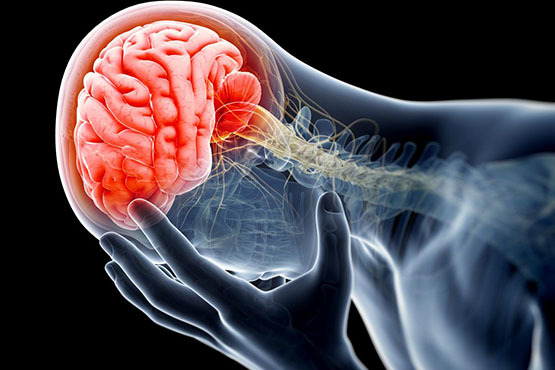 Hematomas (clotted blood) – Bleeding within or outside the brain can lead to forming of a hematoma, which pressures the brain tissue and makes further damages. Window in the skull – When a pressure occurs inside the skull, surgery may address this problem by opening a “window” in the cranium, which provides swollen tissues with more room. The vast majority of people with a traumatic brain injury need rehabilitation. It is beneficial for patients to learn again some basic life skills like talking or walking. The primary goal of rehabilitation is to help those people enhance their abilities required for performing daily activities. Depending on what brain area is damaged and the severity of the injury, rehabilitation may involve a number of physicians and medical staff, including. There are numerous strategies that assist people with brain injuries in dealing with the consequences of the injury. It may include complications that have an influence on communication, everyday activities, and social relationships. The friends and/or family caregivers play a big role in supporting the injured person. They need to mix and match different approaches in order to figure out which ones work the best. Brain injuries frequently occur in vehicle accidents. This is where car accident attorneys come in! Aside from helping injured persons find the best treatment, Zlotolow & Associates P.C. also seeks the best compensation options. To find out more, click zlotolaw.com/nyc-car-accident-injuries.